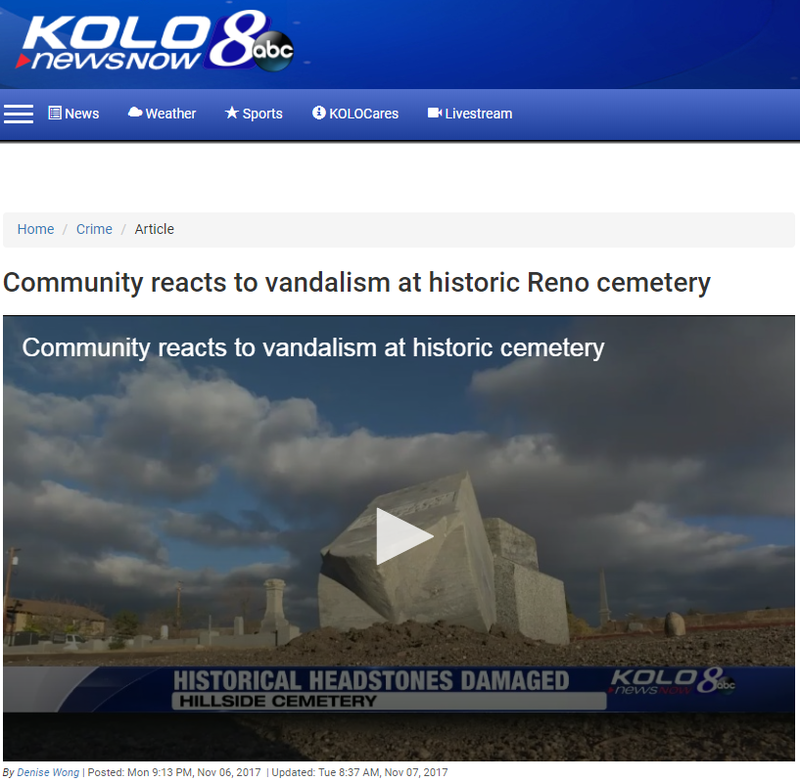 The Hillside Cemetery, our beloved location for our Northern Nevada Chapters Project (NNCP), was vandalized this past weekend. 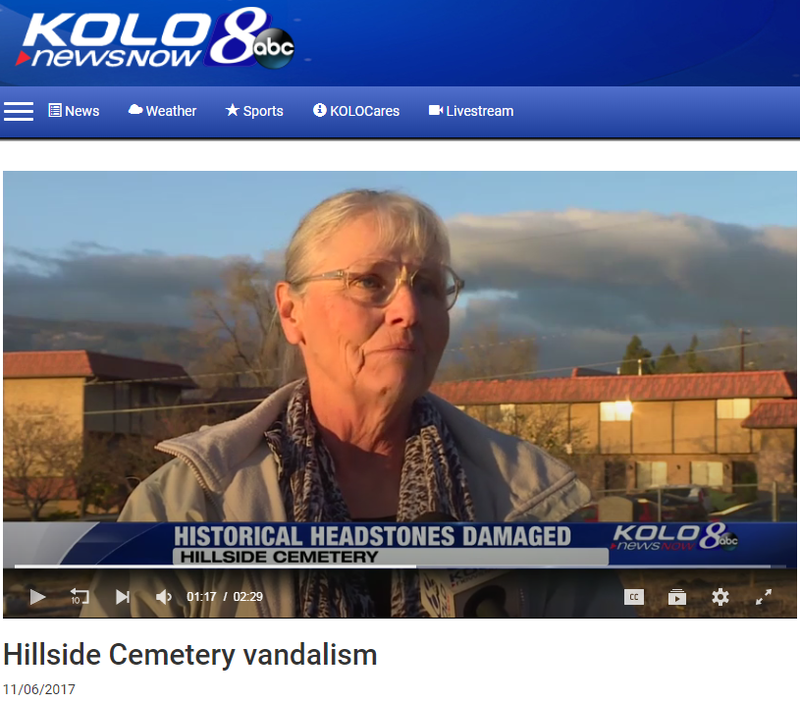 Fran, a prospective member to our Chapter, and the President of the Hillside Cemetery Preservation Foundation (HCP), discovered the results of the vandals. 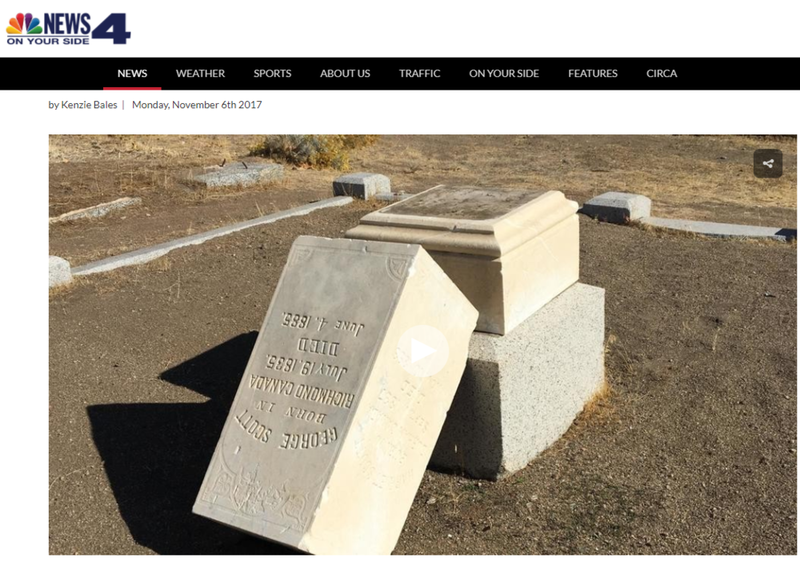 One of her first thoughts was "Who in the world would desecrate a grave in Nevada this day in age?" It was only a couple of weekends ago that multiple organizations came together on our 2017 Day of Service to preserve the cemetery, and work together as a team. It is absolutely heart-breaking that this has happened. 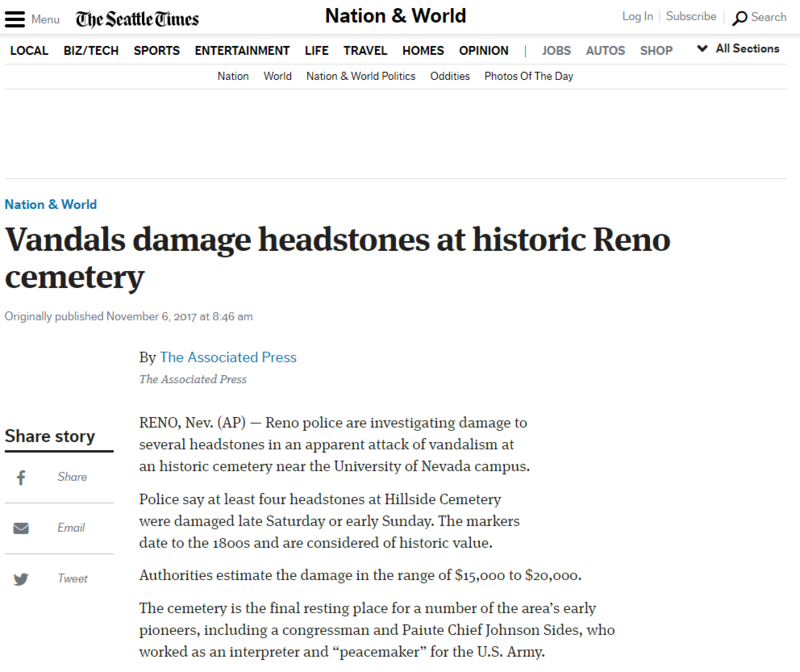 Currently, multiple news sources have reported this attack against history. 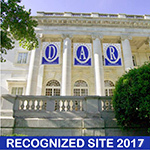 Clicking on the image below will open the article and/or video displayed. Members and public alike, please share this post in hopes that we can find the perpetrators responsible for this horrid act. Our hearts and prayers are with those whose ancestor's are now victims of this crime that is qualified as a felony.